#PowerinNigeria - After unveiling series of amazing devices which includes - Smartphones, Phablets and Tablets to the Nigerian market. The Dubai based Smartphone manufacturing internet company, InnJoo will be unveiling two brand new products just next week and it's going to be fun as you also have the opportunity to attend the launch event, come 02-09-2015 in the main auditorium of the University of lagos in Lagos. Two InnJoo launch events have been successfully held in University of Lagos before so there is no doubt that this one is going to be a successful one too. Nigeria is one of the most populated countries in Africa and there are so many Smartphone users in the country but how often do they recharge their Phones ? This is the main question and the answer to this question is the main reason why InnJoo is bringing up the #PowerinNigeria event. Before, when almost all of us had a feature phone, we only need to keep our phone running by charging it once a week but now that we've upgraded to Smartphones, we need to charge our devices more often, at least once or twice a day just to ensure we stay connected. That is why to fix this problem, InnJoo has tailored two new smartphones that will be coming with a large battery which will use at least two days on a single charge. These Smartphones is what InnJoo will be unveiling on the 2nd of September, 2015 and they are - InnJoo Halo and Fire Plus. We've peeped at the InnJoo Halo and here is how it looks like below. We don't have enough information on the Fire Plus yet but as Tech experts, we know that the Fire Plus will be a better or let me just say an upgraded version of the InnJoo Fire which was released sometimes ago. To make this upcoming launch event more interesting, there are surprises from InnJoo. First of all, the famous local singer, Adekunle Gold will be the at the event to entertain the audience and the top dancing group of University of Lagos will also entertain the audience by showing their powerful dance moves. To wrap it up, there will be lucky draws available for more than 1000+ attendees and the prizes to be won includes Smart Scooters, Innjoo Smartphones and Power banks. Also, if you arrive at the venue early enough, you will be given the limited edition of the InnJoo power T-shirt. 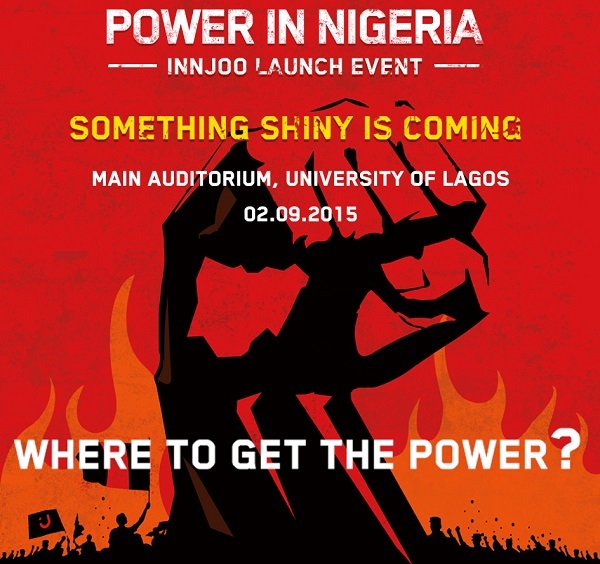 If I should guess right, what you are thinking now is how to get an invitation to attend the InnJoo #PowerInNigeria event. Yeah, that's very simple, just click here for the details of the invitation. There will be more details regarding the upcoming InnJoo Halo & Fire Plus and the event itself, so feel free to subscribe to our email updates via the subscription box below to be informed when we have further information. Have a nice weekend !